BIRMINGHAM, Ala. – While pigs still cannot fly, researchers have discovered that the hearts of newborn piglets do have one remarkable ability. They can almost completely heal themselves after experimental heart attacks. This regenerative capacity is short-lived — disappearing by day three after birth, say teams of researchers at the University of Alabama at Birmingham and at several institutions in Singapore. This is the first time the ability regrow heart muscle has been shown in large mammals, the two teams report in the journal Circulation. This research has impactful clinical implications, says UAB researcher Jianyi "Jay" Zhang, M.D., Ph.D.
First, it suggests that surgery to correct congenital heart defects in newborn humans may benefit if done immediately after birth, as has also been noted in several observational reports. Second, it points to the importance of learning how to undo the signals that block replication of heart muscle cells several days after birth. The ability to restart the division of heart muscle cells could regenerate adult human heart tissue after heart attacks, while avoiding much of the fibrotic scarring and wall thinning that can lead to later heart failure. The UAB research, led by Zhang and Wuqiang Zhu, M.D., Ph.D., found that 1-day-old piglets were able to functionally and structurally recover from experimental heart attacks, as measured by heart pumping ability, thickness of the heart muscle in the left ventricle and a near absence of fibrotic scar tissue. In contrast, 3-day-old piglets had significant functional and structural impairments and 2-day-old piglets showed only partial recovery. They also found that cell cycle activity, as measured by a number of markers, was prolonged and heightened in the hearts of piglets that had experimental heart attacks at day one. Thus, it appeared that, in these newborn large mammals, the acute heart attack activated cell-cycle activity in surviving heart muscle cells, known as cardiomyocytes, and newly dividing cells then replaced dead cardiomyocytes lost during injury. 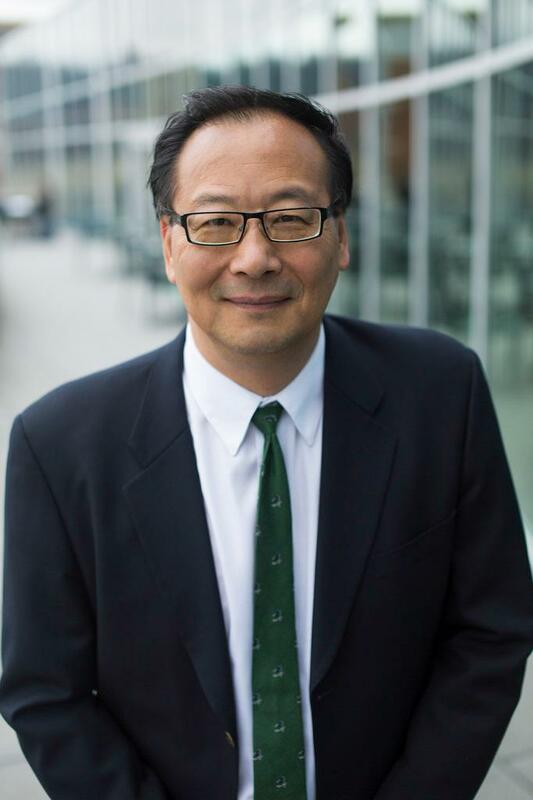 At UAB, Zhang is chair and professor of the UAB Department of Biomedical Engineering and holder of the T. Michael and Gillian Goodrich Endowed Chair of Engineering Leadership. Zhu is assistant professor of biomedical engineering. The Singapore group was led by Lei Ye, M.D., Ph.D., and Stuart Cook, Ph.D., of the National Heart Research Institute Singapore, Singapore. Ye and Cook found results very similar to the UAB study, and many of the methods they used to gauge cardiomyocyte proliferation in the newborn piglet hearts after experimental heart attacks differed from the methods used by the UAB researchers, thus strengthening the conclusions of these independent studies. They showed that the injury in neonatal piglet hearts two days after birth was largely repaired, but that regenerative capacity was soon lost. "Defining the signals and associated signaling pathways that abrogate this profound regenerative capacity in the developing large mammal heart are important topics for future study," Ye and Cook write in their paper. Ye and Cook noted that lower animals like newts and zebrafish can regenerate heart tissue throughout life, but the adult mammalian heart does not have the ability to replace heart tissue that is lost after heart attacks. Most of the growth of the mammalian heart after birth comes primarily through hypertrophy of existing cardiomyocytes, not through cell division. Both groups at Singapore and UAB included RNA sequencing data to show differentially expressed genes in the regenerating hearts, and the Singapore team had a heatmap showing differential expression of fibrosis genes among the different experimental groups of piglets. This research on the regenerative ability of hearts in newborn large mammals was started by Zhang and Ye four years ago, when Zhang was on the faculty at the University of Minnesota and Ye was his research associate. Both continued their research independently when Zhang moved to UAB and Ye moved to Singapore. Zhang is an author on both Circulation papers. UAB co-authors with Zhang and Zhu in the Circulation paper, "Regenerative potential of neonatal porcine hearts," are Eric Zhang, Meng Zhao, Chengming Fan, Yawen Tang, Jervaughn Hunter, Anton Borovjagin, Gregory Walcott and Gangjian Qin, UAB School of Medicine and School of Engineering; Zechen Chong, UAB Department of Genetics; and Jake Chen, UAB Informatics Institute. Support for the UAB study came from National Institutes of Health grants HL95077, HL114120, HL131017, HL138023 and HL134764, and from American Heart Association Scientist Development Grant 16SDG30410018. The Singapore study by Ye, Cook and colleagues, also published in Circulation, is titled "Early Regenerative Capacity in the Porcine Heart."